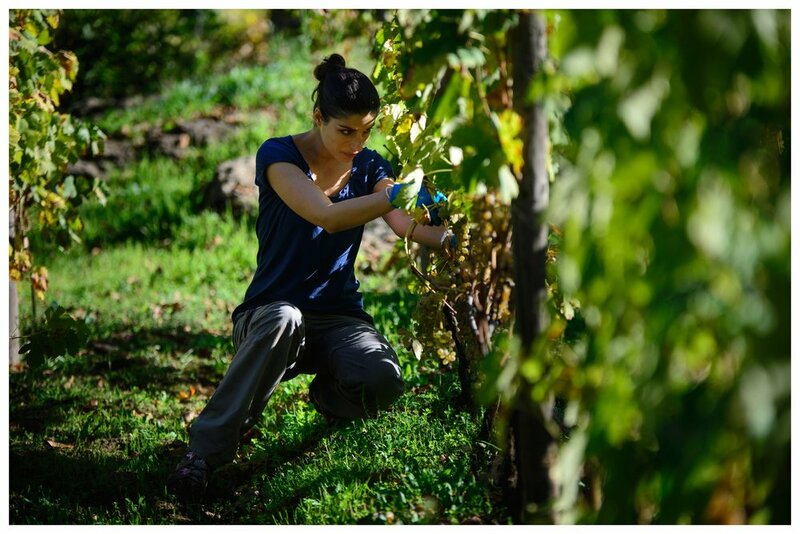 Santa Maria La Nave wines have only been commercially available since 2015, yet these extraordinary volcanic crus—represented by the sunny personality of proprietor Sonia Spadaro Mulone—have already taken the Italian fine wine market by storm. This boutique Etna estate produces two single-vineyard wines in numbered bottles: Calmarossa, an outstanding blend of Nerello Mascalese and Nerello Cappuccio from 100+ year-old, pre-phylloxera vines and Millesulmare, a mono-varietal Grecanico Dorato from grapes grown at 1100 m.s.l. on one of the highest vineyard sites in Europe. For more information about Santa Maria La Nave wines click below for tech sheets. Santa Maria La Nave wines are available in Utah by the six-bottle case through the DABC Special Order system. Learn how to place a special order. Where are the grapes for Millesulmare grown? Where are the grapes for Calmarossa grown?